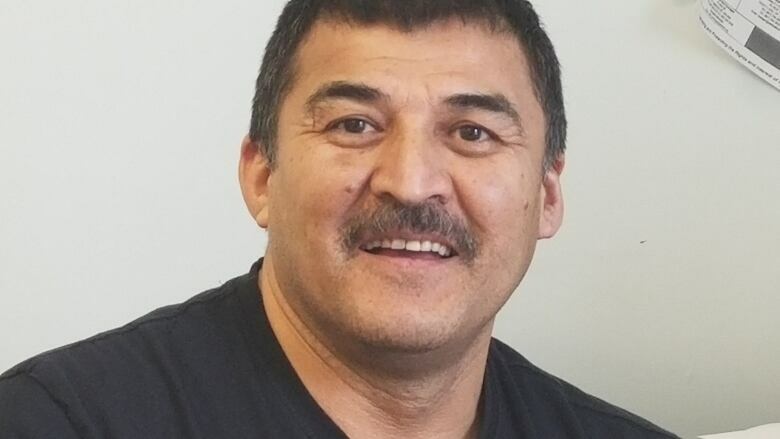 Incumbent Phillip Blake will return as Gwichya Gwich'in chief in Tsiigehtchic, N.W.T., according to preliminary results distributed by the community's band election committee. Incumbent Phillip Blake will return as GwichyaGwich'in chief in Tsiigehtchic, N.W.T., according to preliminary results distributed by the community's band election committee. Blake told CBC Tuesday afternoon that it's "business as usual" and he will "continue what I'm doing." "There are other plans for the community that are kind of on the wishlist … working together with the land claim organization on self-government." He said the community's next initiative is an employment program for young people who have dropped out of school. The program will offer them job shadowing opportunities help them join the workforce. Blake wished his fellow candidates well and acknowledged Tsiigehtchic staff. "We just won an award... for healthy community initiatives for younger folks through wellness programs," he said. "I want to let the staff know they've done a great job." Voters in Monday's election gave Blake 59 votes. Three other candidates split the remaining 93 ballets cast: Russell Andre took 49, Grace Blake received 41 and Jason McLeod Blake took three. Five people were nominated for five open council positions. Julie-Ann Andre, Jamie Benoit-Cardinal, Charlene Blake, Cindy McDonald and Shelly Vanloon were all acclaimed. This was the second run at the election. The previous election's results were overturned last year due to a procedural mistake. Philip Blake appealed the results after losing by one vote to Andre. The results of Monday's election are preliminary until the end of the appeal period on March 21 at 5 p.m. There were 391 members eligible to vote.